The SRCM is the highest performance BACnet capable product for measuring low differential pressure in critical applications. 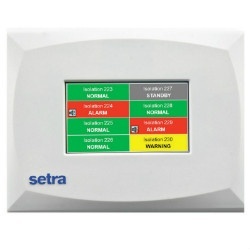 Unlike the SRPM, the SRCM can monitor and alarm two rooms through one device, as well as display 3 additional parameters such as temperature, humidity & CO2. The SRCM builds upon the SRPM’s feature set by adding cloning functionality via a USB port, which ensures time and money savings on installation in applications where multiple monitors are required. The SRCM also has a 4.3” color LCD touch screen for easy menu navigation as well as a flush mount design. The SRCM provides the ability for custom naming for all rooms and conditions while including two-level password protection. Monitor & Alarm Multiple Rooms - The SRCM is designed to give the user flexibility and dependability in the most critical applications. 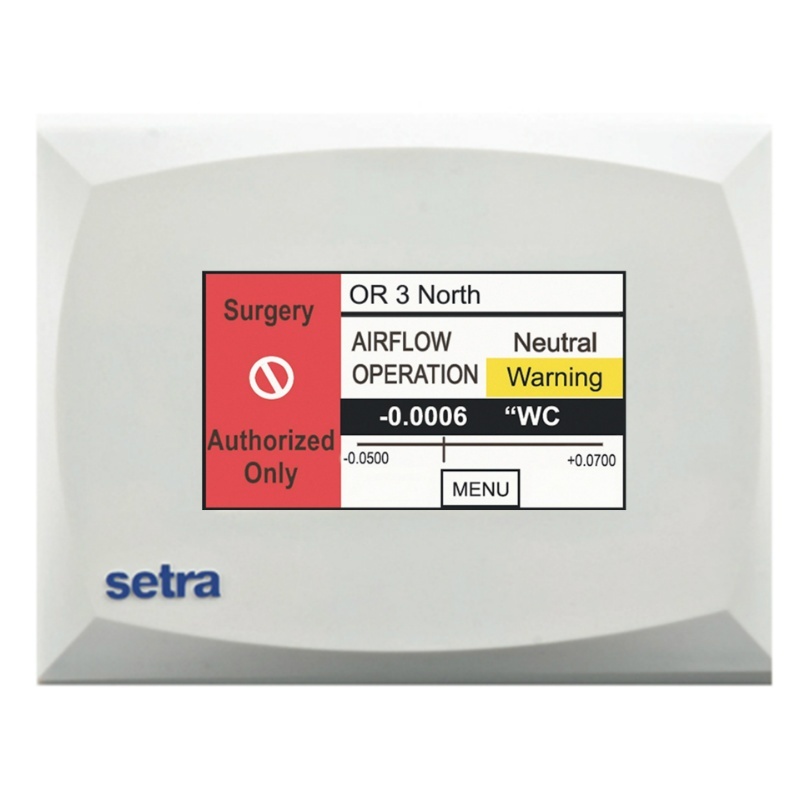 The SRCM has an expanded feature set that includes 2 analog inputs to allow the user to monitor temperature and humidity, as well as a user defined parameter. The SRCM also has a digital input to be used for a door alarm, ensuring that there are no breaches in the critical environment. On-Board Dead-Ended Pressure Sensor - Protection and isolation rooms are designed to adhere to strict standards in order to provide a proper barrier between the room and reference space. Unlike a flow-through design, the SRCM utilizes an on-board dead-ended low differential pressure sensor. This technology provides the user with a trusted solution & peace of mind that the sensor will prevent contaminated air from passing through it. Save Time and Money on Installation & Calibration - The SRCM is designed with both the installer and end user in mind. The BACnet enabled unit can be installed in an off-the shelf electrical box, improving the ease of installation instead of having to use a custom electrical box that is not typically available at the rough stage of the project. The SRCM offers push button zero and span calibration that is easily performed by any low differential pressure calibrator and can be calibrated in minutes.